Today we are showing 6 fun hair tutorials for little girls! 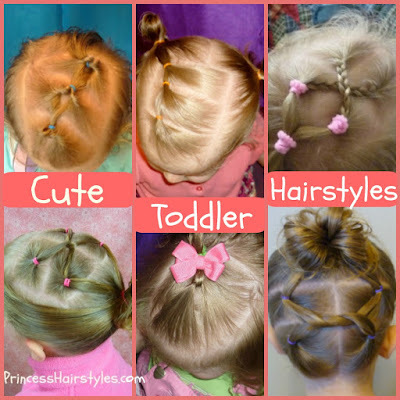 These are all simple hairstyles that are fairly quick and doable even on a squirmy toddler. These hairstyles would be cute for older girls as well! Particularly the elastic hairstyles are great for gymnastics, sports, dance hair, thin hair, short hair, or for growing out bangs.